What is the Power Station™? 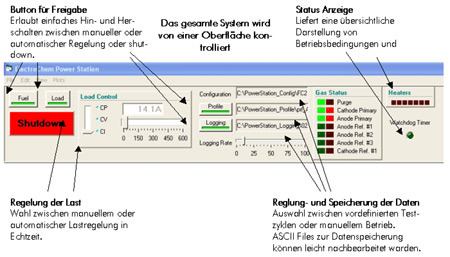 4) Integrated Power Station Software. this performance and its repeatability is critical to the ongoing advancement of this exciting technology. The Fuel Cell Test Station is the R&D tool for reliable and efficient quantification of performance. 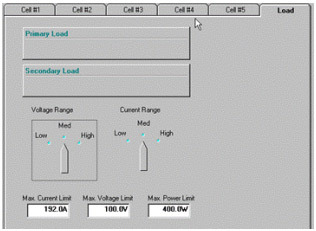 Providing control and data acquisition during fuel cell operation, it enables complete performance characterization and validation. DMFC - Methanol reservoir and fuel pump. 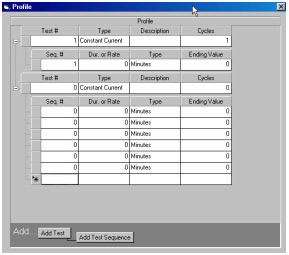 Computer Controlled for precision, variable condition, and unattended testing. GTL - Heated Gas Transfer Lines. Temperature controlled by the Power Station , guaranteeing gas conditions to the cell. Moisture Traps - Capture of downstream condensed water. What is the PS-Ultima ™? The PS-Ultima™ is a special variation of the Power Station™ that provides the ability to test up to five fuel cells si-multaneously while under independent gas management, humidification, and temperature controls. 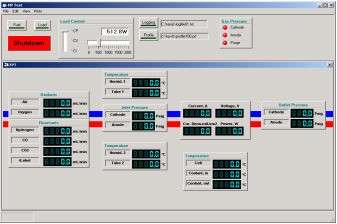 Its main mod-ules are: 1) PS-Ultima™ System Controller (and Load), 2) CompuCell™ gas management unit, 3) Ultima gas man-agement unit, 4) Additional optional components, 5) Integrated PS-Ultima™ Software . 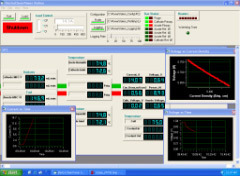 Power Station™ is operated by using our proprietary Windows™-based software. The fuel cell system is controlled by specifying the number of cells to test, cell sizes, operating conditions, and type of performance tests. 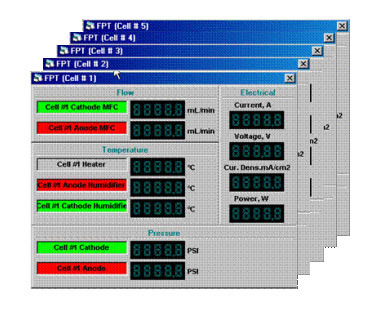 A graphical user interface allows the operator to quickly scan the operating state of all fuel cells together or individually for detailed performance. 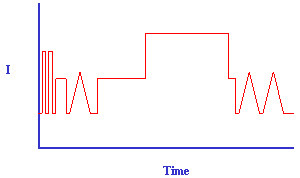 Polarization performance is displayed in different graphical representations as well as written to data files for posttest analysis. 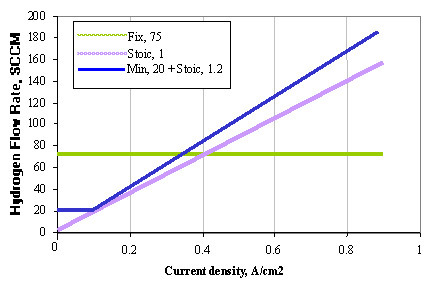 Multi-sequence electrochemical tests may be programmed to simulate electrical load conditions ranging from constant voltage, current, or power to cyclic studies and dynamic loads. as stoichiometric ratio and ml/min. Select gas lines to be used. User define gas correction factor allows users to select new gas mixtures. 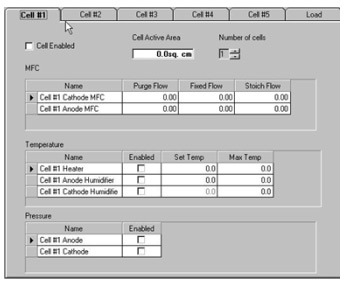 Select thermocouples to use Use measurements for logging, and/or control. activate safety shutdown. User selects shutdown criterion. Expand electronic load capacity by adding an optional secondary load. The Power Station™ Software package is included with Microsoft Windows XP™, and Microsoft Office™ which includes Excel™, Word™ and PowerPoint™. 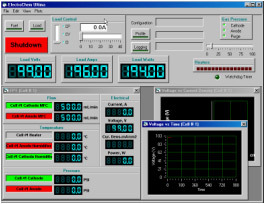 Upgrades and online technical support for the Power Station™ Software package are free. Meets Requirements for CE Marking. 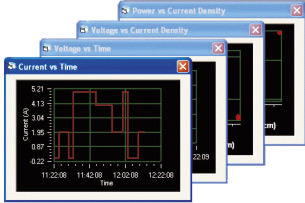 Power Station™ Software is an integral part of the Power Station™ product line. It is not sold or distributed separately from the Power Station™. Demonstration software versions are available to interested customers.